Before it was released, a leaked image of the upcoming iPhone 11 revealed the new device with 3 rear cameras. 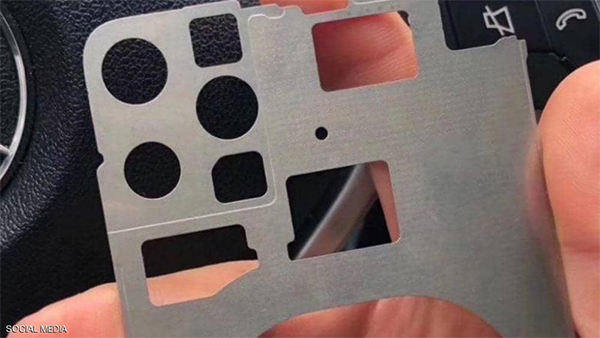 Technology platforms recently published a picture that is said to be an iPhone 11 handset and a large box appeared at the top of the back of the device, and it was probably designed to fit the three lenses. Apple is expected to announce the device officially in September, while not much information leaked about its new features so far. The picture reveals that the new phone will not witness any significant design change except for the 3 rear cameras. The large hole in the center of the handset is likely destined for the wireless charging technology already available in the markets. These three cameras will be present only in the most expensive version of the device that will be released by apple this year.